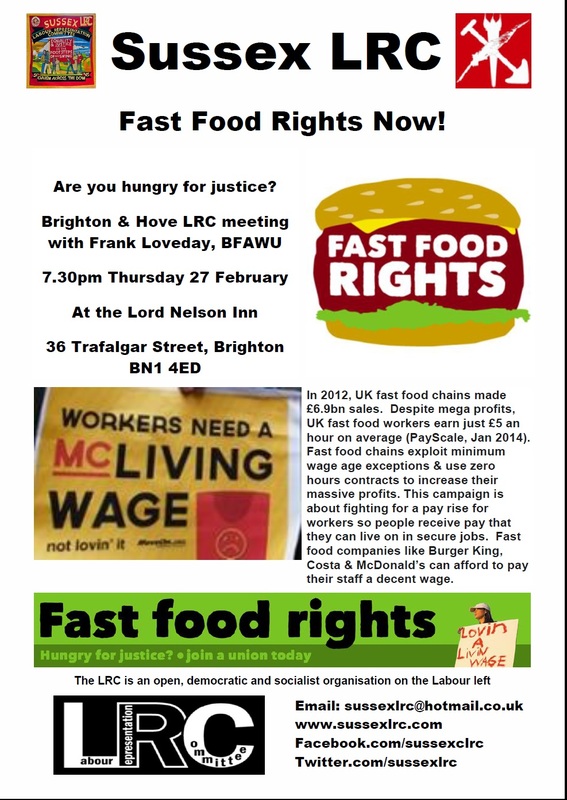 Brighton & Hove LRC meets every other month for a friendly discussion around a table in the backroom of the Lord Nelson Inn, which is five minutes walk from Brighton railway station, straight down Trafalgar Street. All welcome at these friendly and informal meetings. Please download the poster above to display or use as a flyer to publicise this meeting. 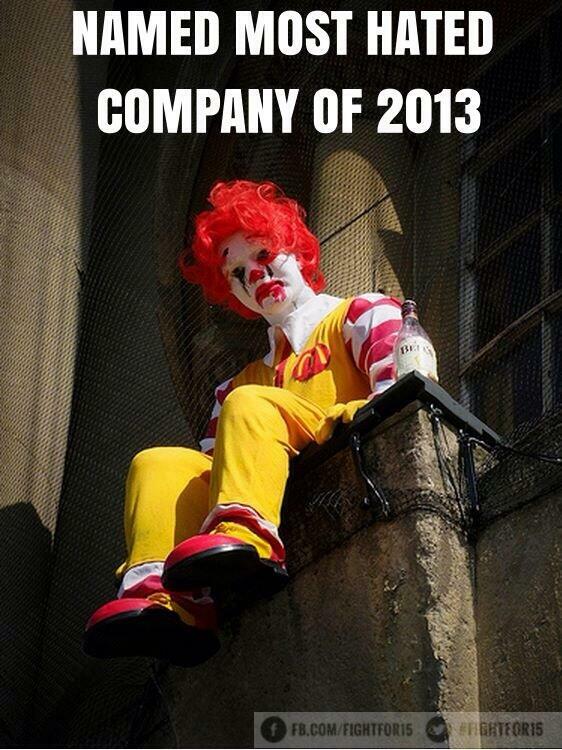 Fast food workers are worth decent pay and conditions. Sussex LRC and others backed the National Day of Action for fast food workers by organising a protest outside McDonald’s in Western Road, Brighton on Saturday 15 February 2014. 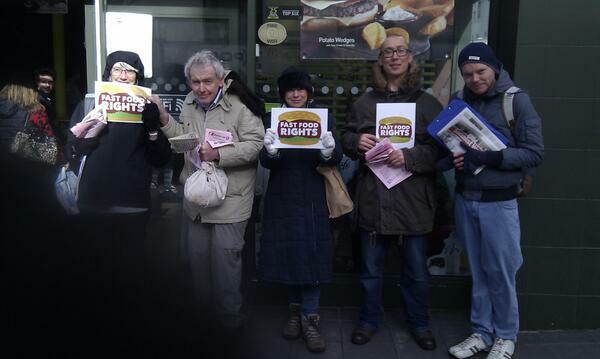 Staff, customers and passersby showed great interest in the campaign leaflets, and support for an end to zero hour contracts. Working in fast food restaurants means low pay, insecure jobs and poor employment conditions for most people. 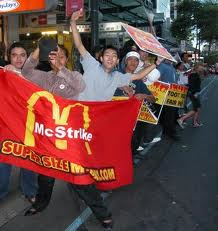 The Fast Food Rights campaign aims to recruit fast food workers into a trade union so that they can fight collectively for decent pay, secure contracts and respectful treatment. All trade unionists are asked to support this day of action which will see protests outside different branches of McDonald’s, Burger King and Costa nationwide. Come along to join us outside McDonald’s in Western Road, Brighton from 12noon to 2pm. ← Fracking: helpful or harmful?